Look what your creativity can lead you too. 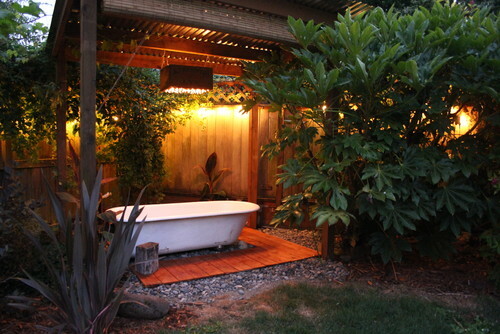 This amazing bath house was built using salvaged materials plus few non expensive ones. The incorporation of pebbles and plants under a pergola made the place appeared to be cozy. Adding of miniature lights on top completes the set up. I'm really amazed at what stones can do in home and outdoor decorations. Why You Should Buy Real Estate?